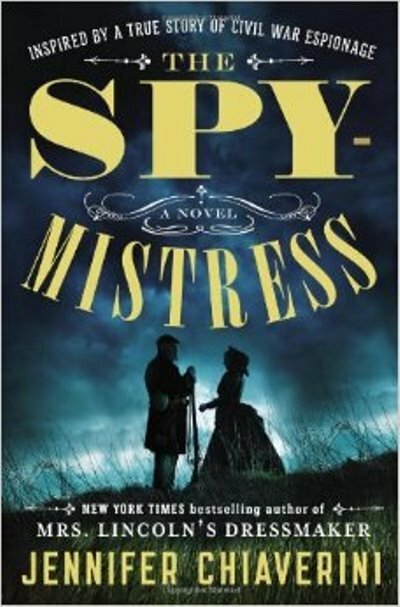 Yesterday’s 150th anniversary of the surrender of Confederate General Robert E. Lee to end the Civil War got us thinking about all the terrific Civil War-inspired books published over the last few several–specifically, those about women who disguised themselves as men to fight, or who went undercover and worked as spies. The result is this list of 10 books about these heroic women, including both novels and nonfiction. Adult nonfiction. Best-selling author Karen Abbott tells the spellbinding true story of four courageous women–a socialite, a farmgirl, an abolitionist and a widow–who risked everything to become spies during the Civil War. 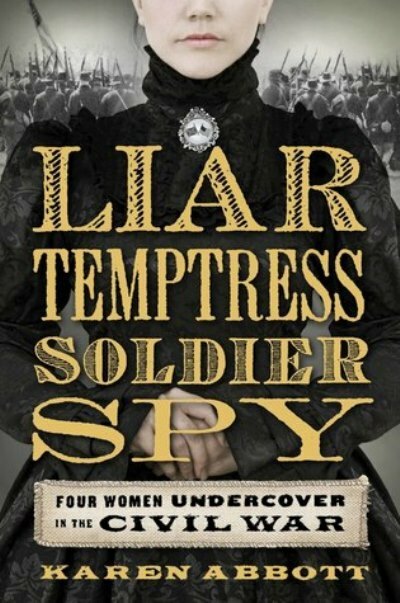 Abbott uses a wealth of primary source material and interviews with descendants to weave the adventures of these four heroines throughout the tumultuous years of the war. Supporting cast of real-life characters include Walt Whitman, Nathaniel Hawthorne, General Stonewall Jackson, detective Allan Pinkerton, Abraham and Mary Todd Lincoln and Emperor Napoleon III. 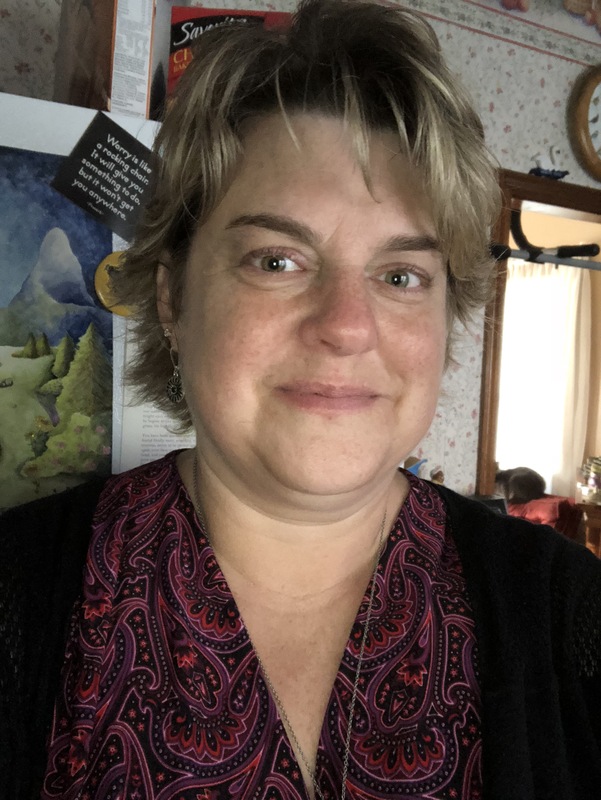 Hear Karen talk about the book in the Literary New England Radio Show archives. Adult nonfiction. “I am a Southern woman, born with revolutionary blood in my veins,” Southerner and Civil War heroine Rose O’Neale Greenhow one said. 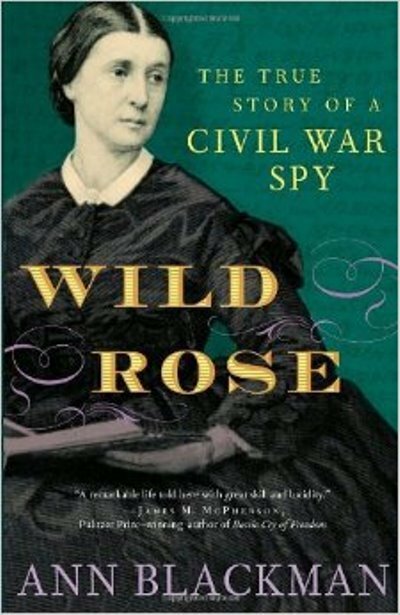 Fearless spy for the Confederacy, glittering Washington hostess, legendary beauty and lover, Rose risked everything for the cause she valued more than life itself. Biographer Ann Blackman tells the surprising true story of a unique woman in history, which includes her pleading the Confederate cause to England’s and France’s royal courts. Middle-grade fiction. In 1861, when war erupted between the states, President Lincoln made an impassioned plea for volunteers. 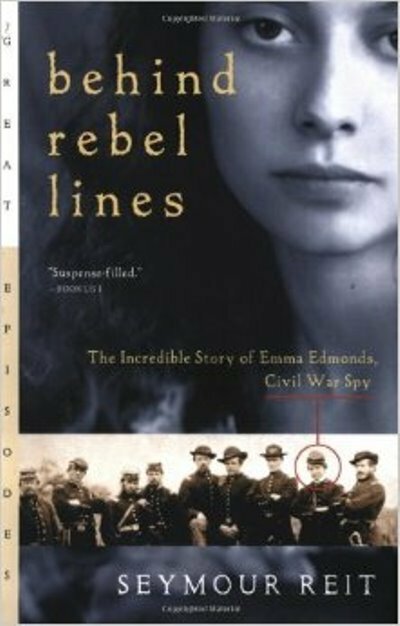 Determined not to remain on the sidelines, 21-year-old Emma Edmonds cropped her hair, donned men’s clothing, and enlisted in the Union Army. Posing in turn as a slave, peddler, washerwoman, and fop, Emma became a cunning master of disguise, risking discovery and death at every turn behind Confederate lines. Adult nonfition. 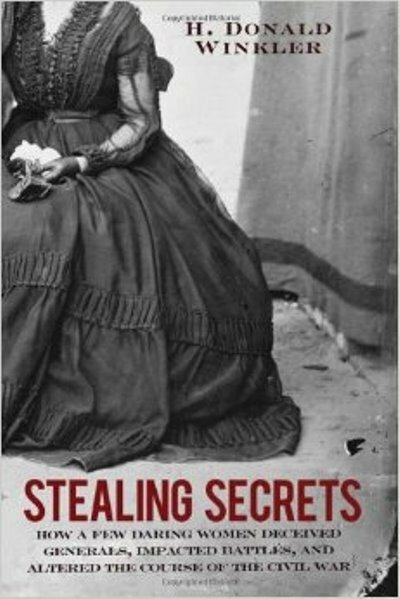 An overview of 36 women who spied for the Confederacy and the Union: “stories of women spies…filled with suspense and seduction, treachery and trickery, romance and bravery.” Civil War memoirs, journals, letters and newspaper articles and other sources were deftly used to bring these women’s incredible stories to life. Adult fiction. She calls herself Ash, but that’s not her real name. She is a farmer’s faithful wife, but she has left her husband to don the uniform of a Union soldier in the Civil War. This is the harrowing story of Ash Thompson during the battle for the South. Through bloodshed and hysteria and heartbreak, she becomes a hero, a folk legend, a madwoman and a traitor to the American cause. 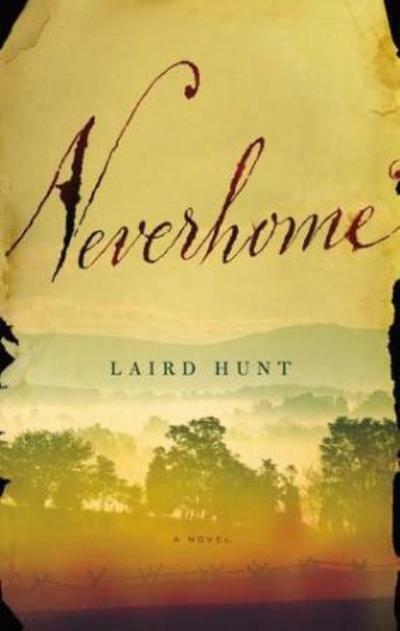 Hear Laird talk about his book in the Literary New England Radio Show archives. Adult fiction. Best-selling author Jennifer Chiaverini’s enthralling historical novel inspired by the life of “a true Union woman as true as steel” who risked everything by caring for Union prisoners of war and stealing Confederate secrets: Elizabeth Van Lew. She pledged her loyalty to the Lincoln White House, and even as her actions threatened both her reputation and her life, her courage never wavered. Adult fiction. 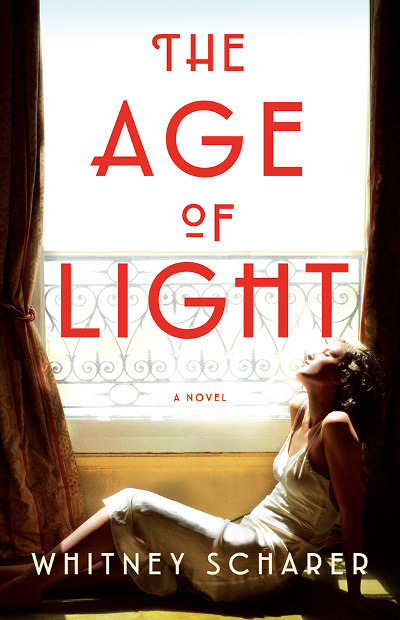 An extraordinary novel about a strong-willed woman, Rosetta, who disguises herself as a man in order to fight beside her husband. Inspired by the letters of a remarkable female soldier who actually fought in the Civil War, Rosetta cuts off her hair, hems an old pair of her husband’s pants and signs up as a Union soldier. She drills with the men, proves she can be as good a soldier as anyone, and deals with the tension as her husband comes to grips with having a fighting wife. Rosetta’s strong will clashes with Jeremiah’s while their marriage is tested by broken conventions and constant danger, and the two fight for their lives together. 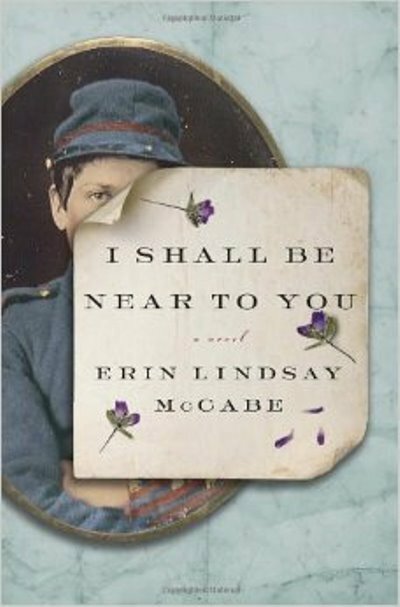 Hear Erin talk about her book in the Literary New England Radio Show archives. Adult nonfiction. “I don’t know how long before i shall have to go into the field of battle. For my part i don’t care. I don’t feel afraid to go. I don’t believe there are any Rebel’s bullet made for me yet.” Those are Wakeman’s words. Similar sentiments were expressed by tens of thousands of Civil War soldiers in diaries and letters. 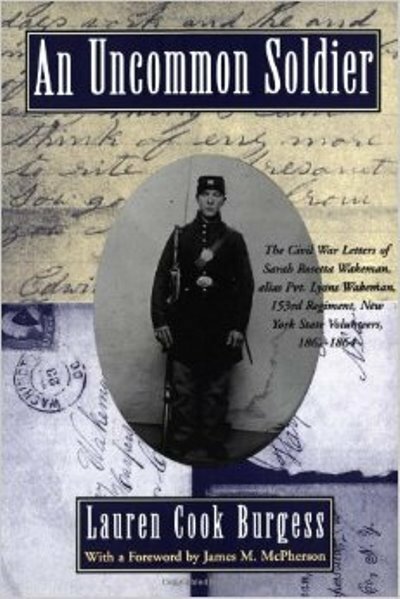 What transforms Wakeman’s letters is that this soldier was a woman–a simple young farm girl from central New York State who disguised herself as a man in order to fight. Rosetta did not survive the war. However, her letters provide a firsthand look at the personality and character of a woman who defied convention. The book was edited by Lauren Cook Burgess. Middle grade nonfiction. 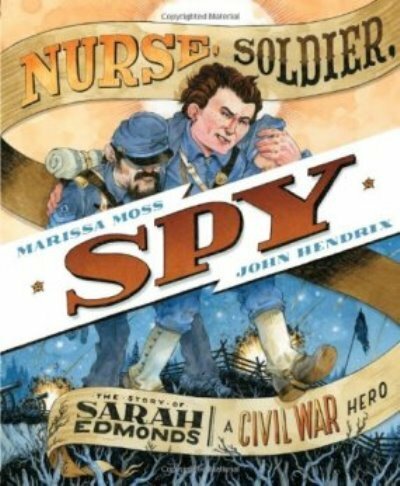 A fast-paced, high-energy picture book that tells the true story of Sarah Emma Edmonds, who at 19 disguised herself as a man to fight in the Civil War. She took the name Frank Thompson and joined a Michigan army regiment to battle the Confederacy. Sarah excelled as a soldier and nurse on the battlefield. She was so heroic, leaders asked her to become a spy. “Albert Cashier” served three years in the Union Army and passed successfully as a man until 1911, when the aging veteran was revealed to be a woman named Jennie Hodgers. Frances Clayton kept fighting even after her husband was gunned down in front of her at the Battle of Murfreesboro. And more than one soldier astonished “his” comrades-in-arms by giving birth in camp. 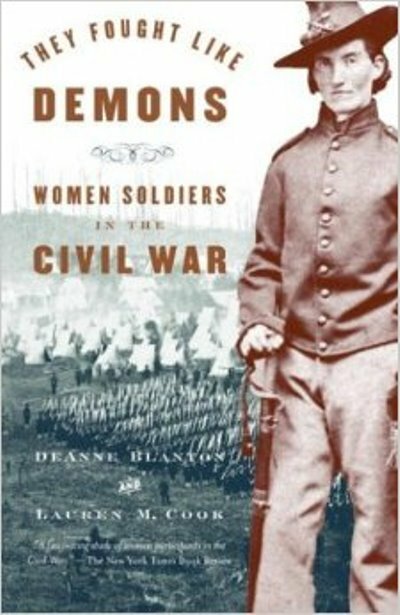 A lively and authoritative book on several of the women who adopted male disguises and fought as Civil War soldiers.